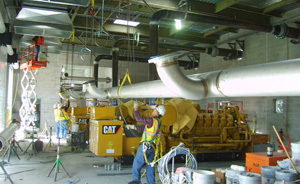 TMS is a merit shop mechanical contractor. Our craftsmen work seemlessly from job to job. TMS can handle Pipe Fitting and Millwright Services, as well as custom steel fabrication, our program fits the right team for your projects, with no slowdown waiting on craft squabbles. TMS can set the tanks, pumps and utility equipment all the way to layout and installation of the process piping. This is a good example of cross crafting with the team setting equipment then piping, under the direction of superintendant who knows how to cross craft. 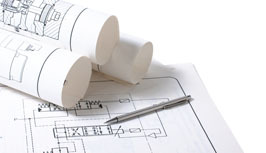 In addition to offering the finest mechanical contracting services in Kansas City and the Midwest, TMS also offers a wide variety of industry leading design services. “A 10 inch ductile underground high pressure fire protection line failed at our Lee’s Summit facility at 2:00 p.m. After doing flood damage control, we immediately called TMS and requested emergency repairs. Your crew arrived within 20 minutes and had a backhoe on the job ten minutes later! For a failure and repair of this magnitude, seven hours from notification to completion is almost unbelievable.